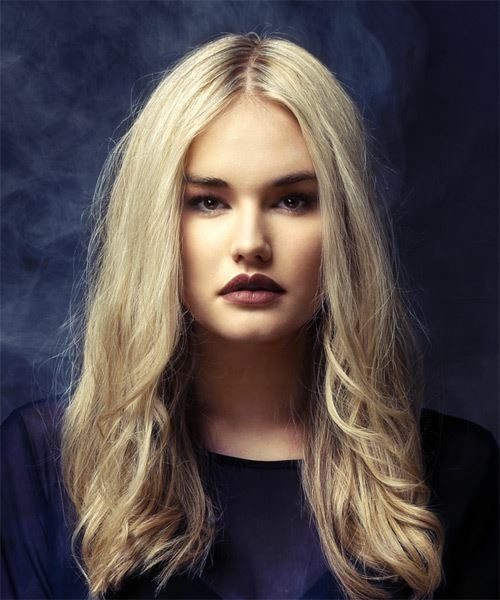 Long tousled waves are the main attraction with this 'do. This hairstyle is ideal for straight or wavy hair textures and suits all face shapes. Layers have been cut throughout the ends to add movement to our model's long locks. Regular trims and color toning treatments are needed to keep these ash blonde locks looking shiny, healthy and a gorgeous beige blonde tone. Use a round brush to flick the ends out slightly while blow-drying.